Well, here goes. Welcome to my adventures in wargaming, more specifically Warhammer 40,000. I’ve been into wargaming since I was 15, and now that I’m 42, I’m finally embracing the hobby the way I should have years ago. 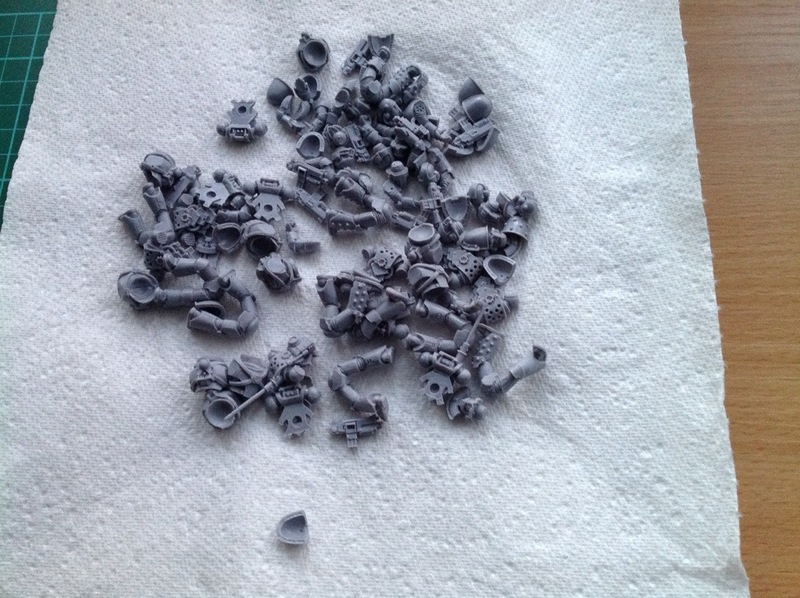 Having just bought my ticket for the Throne of Skulls event at Warhammer World in March next year, I’ve decided to build a new army for the event. I already have a Black Templars army for 40k, and I’ve been tempted to dive into Horus Heresy gaming since I bought “Betrayal” by Forgeworld. The road has been long and hard, but I have finally decided on a legion! As a Son of Dorn, it would be amiss of me to choose anything other than the Imperial Fists. I plan to be able to field my new army in both 30k & 40k, mixing models from units as appropriate. Best place to start is always at the beginning! With this in mind, first choice is a Legion 10 man tactical squad. It’s easy to forget how many pieces make up these figures! 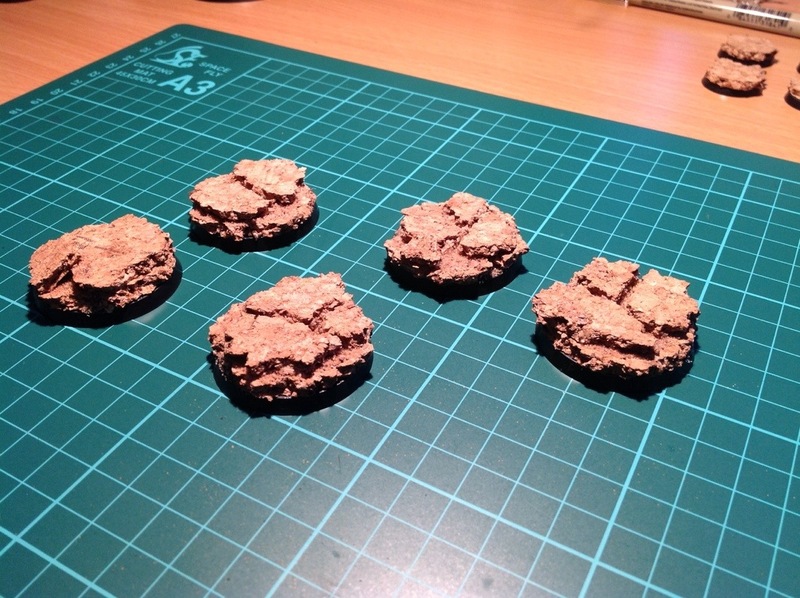 I’ve also made up some bases, using cork for the first time. Overall I’m pretty pleased with them so far. Updates soon. Thanks for looking.